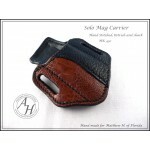 This holster is the one in the photo, it's already built with those options listed below. 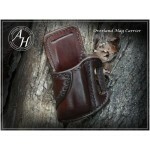 Right handed holster for a 3.5in. 1911 normal models. 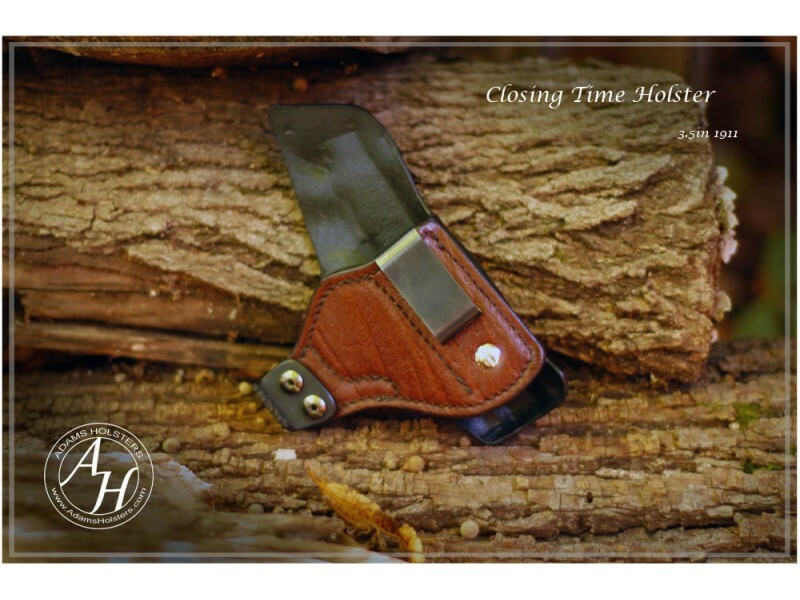 This holster was a prototype I built for myself testing thinner hide configuration for the Closing Time holster during development. It was at the very tail end so it's basically the finished design other than the thickness of the leather. It's setup with about 2/3 the thickness of the leather so it's not as rigid as my normal holsters. I used it myself some maybe 30-35 hours of carry but it's in great condition with an elephant trim panel. My only caveat to this holster is the thickness and rigidity over time the sweat shield may bend more than normal and I'd be extremely cautious one handed reholstering(which you should be with AIWB anyways). It's not an issue it's just something to be aware of if buying this rig. 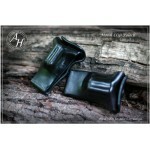 If you're an LEO that may have to reholster to cuff someone, this isn't the holster for you. If you're a normal guy who hopefully doesn't ever need their firearm, but if they do won't need to be in a hurry placing it back in the holster this is a great buy. For my own 2 cents it doesn't bother me a single bit when I carried this rig, but I didn't see any huge benefit to making it slimmer which is why I rolled back this idea with the prototypes. 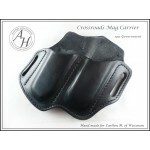 My new outside the waistband carrier creates an nice tight concealable platform. 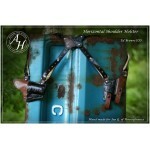 Aggressive cant all..
My new horizontal shoulder holster. 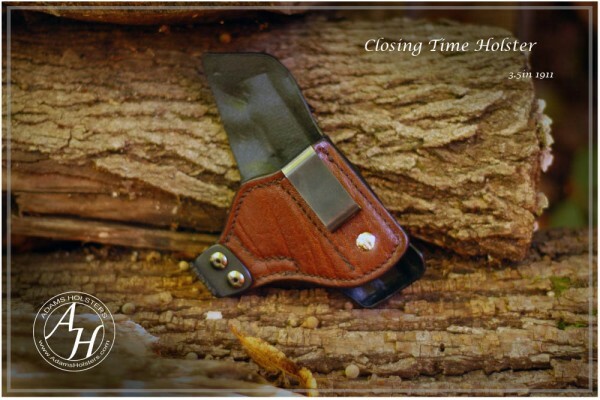 Designed to carry a full sized handgun comfortably for all d..
My new outside the waistband carrier creates an night tight concealable platform. Based on the prove.. 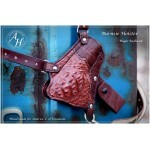 I just finished up my work on a new hunting holster. 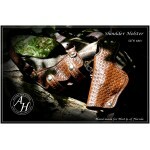 Those of you who know the area where I'm ..
My new vertical shoulder holster. 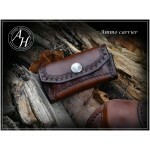 Designed to carry a full sized handgun comfortably for all day.. 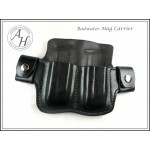 This is a new mag carrier for me taking the Badwater holster design and translating it into a mag ca.. This is an OWB ammo carrier generally for a revolver. This style is called a 2x2x2 which keeps three.. I designed this Speedloader pouch based on my existing Moonclip pouch and basically took the whole c..
A new mag carrier design based on my Overland holster concept. ..